Suzanne Elledge Planning & Permitting Services, Inc.Westmont College - Suzanne Elledge Planning & Permitting Services, Inc.
SEPPS represented Westmont College through the Conditional Use Permit process to help secure unanimous approval by the County Board of Supervisors on the Westmont College Campus Master Plan, which involved significant public interest, public outreach, and years of environmental and public agency review. 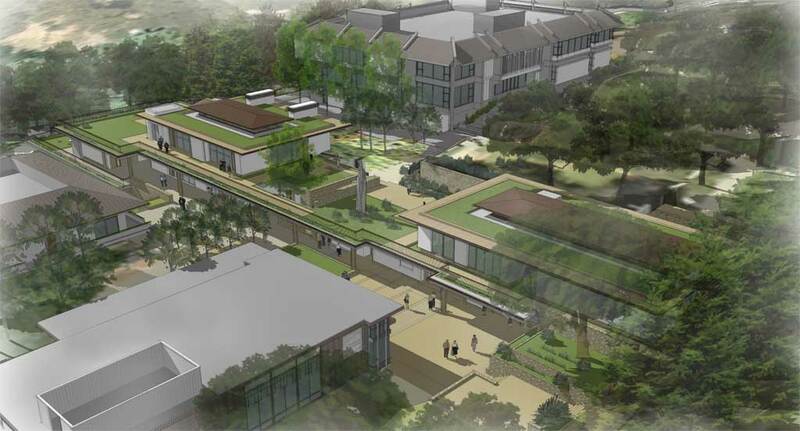 Located in a largely residential neighborhood in Montecito, the Westmont College Campus Master Plan includes approximately 350,000 square-feet of new campus buildings that will be built-out in phases. Phase I construction was completed in November 2010. SEPPS is presently working with the college to obtain final approvals for Phase II construction, consisting of the new Residence Hall. Image courtesy of Blackbird Architects and David VanHoy Architect.